15 Festive Events You Don't Want To Miss On Your Christmas Getaway! Every Christmas, the Blue Ridge Scenic Railway - a heritage railroad founded in 1905 - hosts a fun-filled trip with Santa, enjoyable for the whole family! While on board this 1 hour ride, your family will hear “Twas the Night Before Christmas," sing Christmas Carols, as well as visit with Christmas characters and Santa. Please consult the train's schedule for dates and times. A heart-warming classic guaranteed to get even the rudest Scrooge in the spirit and singing Christmas carols! By chance, Kris Kringle, an old man in a retirement home, gets a job working as Santa for Macy's. Kris unleashes waves of good will by referring parents to other stores to find exactly the toy their child has asked for. Seen as deluded and dangerous by Macy's vocational counselor, who plots to institutionalize Kris, Kris ends up in a court competency hearing. Especially at stake is one little girl's belief in Santa. On Saturday December 1st only @ 6:30 P.M.in the Exhibit Hall be sure to attend Mountain Country Christmas Live! Featuring your favorite Christmas songs sung by North Georgia's finest singers and musicians! $5.00 Donation Requested at the Door. Everyone’s favorite classic holiday tale gets the fractured fairy-tale treatment. All the famous fairy-tale characters take on all of the memorable roles of Dickens’s A Christmas Carol. You’ll never know who will show up next as the Big Bad Wolf (as Ebenezer Scrooge) meets his old business partner Jacob Midas (Marley), who could turn anything to gold. Midas warns Big Bad that he’ll be visited by The Ghosts of Christmas Past, Present, and Future (played by a Fairy Godmother, Old King Cole, and the Queen of Hearts respectively). The ghosts make Scrooge realize what a scoundrel he’s been to the Charming (or Crachit) family — including Prince Philip, Cinderella and their kids, Hansel, Gretel, and Tabitha, their Little Match Girl — and help him to remember what the Christmas spirit is all about. This fun-filled adaptation stays true to the warmth and heart of the classic. When Marie's godfather gives her a toy nutcracker for Christmas, she puts it under the Christmas tree just as a mouse scampers by. As we watch, the Nutcracker grows to life-size as a handsome soldier, the mouse grows into a man-size Mouse King, and Marie is transported to the land of the Sugarplum Fairies, where duels are fought and romance blossoms. The fantasy elements may be spectacularly displayed or simply presented; the story and the audience's imagination will fill in any missing details. Young and mature audiences alike will love this story of the personified Nutcracker, the Mouse King, the Sugar Plum Fairies and the other enchanting characters. The ballet based on Tchaikovsky's Nutcracker Suite is one of the world's best-loved Christmas entertainments (suitable any time of year). Tchaikovsky composed the passionate music in 1892, the year before he died. 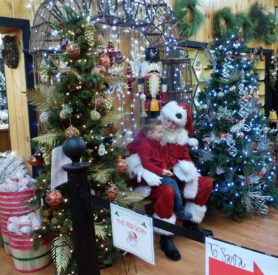 Be sure not to miss Santa Claus at Mercier Orchards! He will be on site Saturday December the 8th and again on Saturday December 15th! Don't forget your cameras to get some pics with Santa! There will also be other activities for the kids to do while waiting to see Santa. All are welcome to attend this free community holiday literacy festival on the Fannin County High School campus from 4:30 to 6:00 p.m. 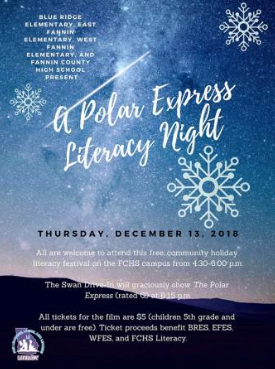 Following the festival The Swan Drive-In will be showing The Polar Express (rated G) at 6:15 p.m. All tickets for the film are $5.00 (Children 5th grade and under are free) Ticket proceeds benefit BRES, EFES, WFES and FCHS Literacy. 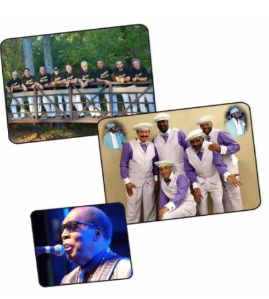 A Shaggin' Christmas Concert with The Tams, Swingin' Medallions, and Clarence Carter. 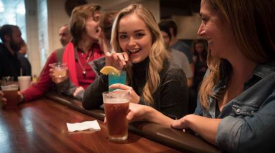 Come out for a fun night with friends at Masseria Kitchen + Bar. We're going to get crafty on the bar and in the kitchen concocting specialty beverages and a menu featuring a pig from our very own farm. Chefs from our entire restaurant group will get involved in this meal to create dishes from nose to tail. Our bar team won't be resting on their laurels, they are already at work creating some seasonal specialties to pair with the meal incorporating our farm honey, herbs and more. This is a meal you won't want tomiss! 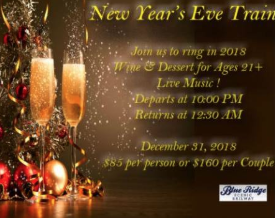 Tickets are $60 per person. 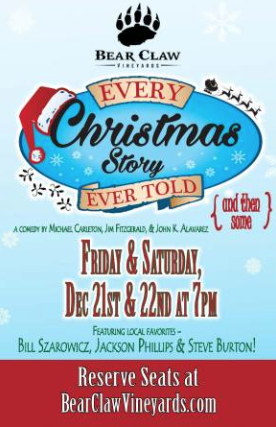 Bear Claw Vineyards Presents Every Christmas Story Ever Told (and then some), a comedy by Michael Carleton, Jim Fitzgerald & John K. Alvarez. Friday AND Saturday at 7 p.m. 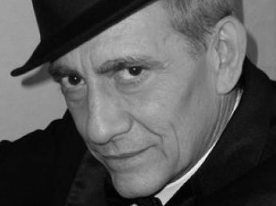 Featuring Local Favorites- Bill Szarowicz, Jackson Phillips & Steve Burton! 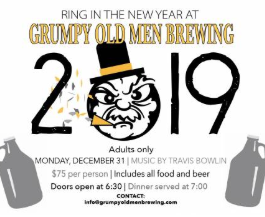 Ring in the new year with Grumpy Old Men Brewing, Adults Only. A beautiful cabin with everything you could need, including salt and pepper and even a hair dryer. A great place to relax and unwind or to go and experience the Ocoee River. Our whole family gathered here for my brother's 30th birthday. The cabin was just stunning! There was record snowfall prior to our visit, so the landscape was painted white with several inches for our entire 4 day weekend! We spent the weekend full of fun, laughter and making memories! The fire was always going to contrast the white landscape! We ate great food, walked down to the river where we made s'mores at a bonfire! What a joyous time for our family! Made tons of memories! From the hot tub to nightly games of loud Apples to Apples, our family filled this cabin. Enjoy to the fullest as we have!